A few weeks ago, I received a simple one line enquiry to the website asking if My Doll Best Friend would like to see photos of a new range of dolls. The next moment was truly exhilarating: I was reading an email from the very brand whose identity I’d sought since 2014 – Fun In Faith. How did I already know about the existence of these dolls I set eyes on in that second email? I’d heard about them – but no amount of internet searches would provide me with the missing information: the brand name. 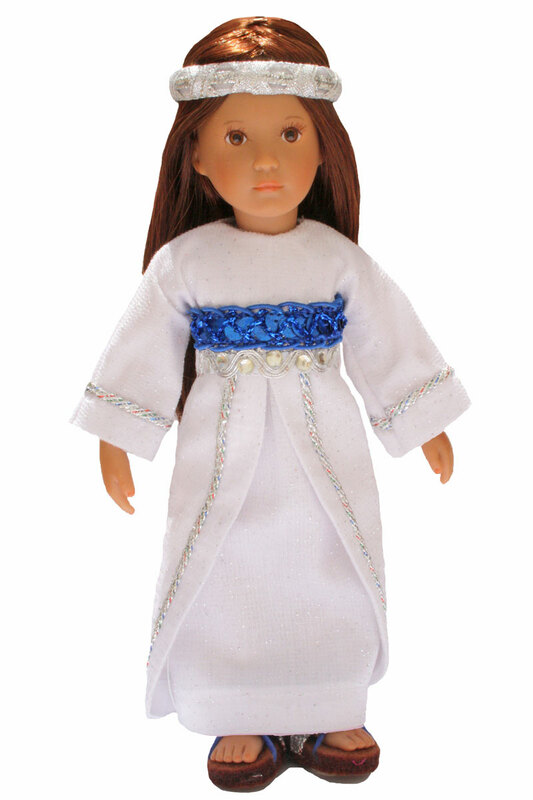 I knew that there were some delightful faith dolls made by a South African brand, which had been designed with an olive complexion, just like the original princesses from the Old Testament Bible, or Tanakh. The other detail I knew was that the artist was Sonja Hartmann. Ever since that moment I’ve wanted to share this with all of you. Here we now are, with Fun In Faith dolls in stock at My Doll Best Friend. Such an exciting moment! The mission for Fun In Faith was to provide toys that would ground children’s characters in a solid belief system through play. Very few suitable fun toys were available in the South African market, so a small group of mothers very courageously and purposefully set about creating the most ideal toys, to simultaneously bring joy and make a lasting impact on the lives of children from a moral point of view. Fun in Faith started with precious dolls. They identified the ideal age group as between four and twelve years old,* the main reason being that parents can spend valuable time interacting with their children, exchanging and shaping views without effort. Through play, children form their value sets and theses images (good or bad) last a lifetime. With the help of Sonja Hartmann, Fun In Faith designed and produced their first range of dolls. The scale was chosen so that the dolls would be small enough (21cm high) to be able to be a constant companion for a young girl. The complexion of the vinyl was chosen to be olive brown, an authentic colour to the likely skin tone of the Old Testament Bible characters chosen; namely Esther, Ruth, Hannah, Rebekah and Rahab. 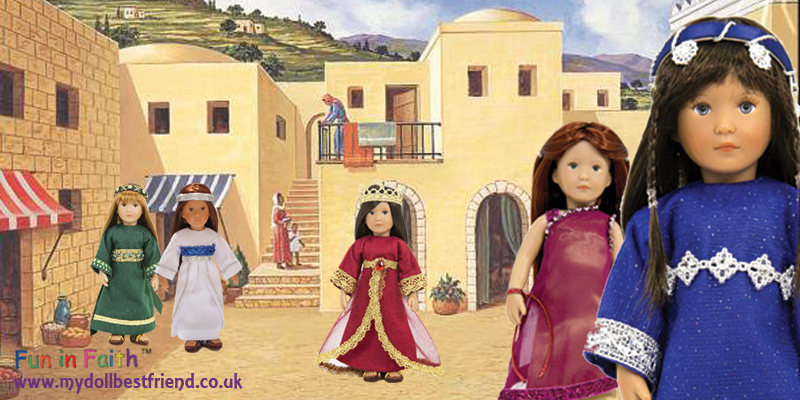 Hannah; Ruth; Esther; Rahab and Rebekah (21cm doll). 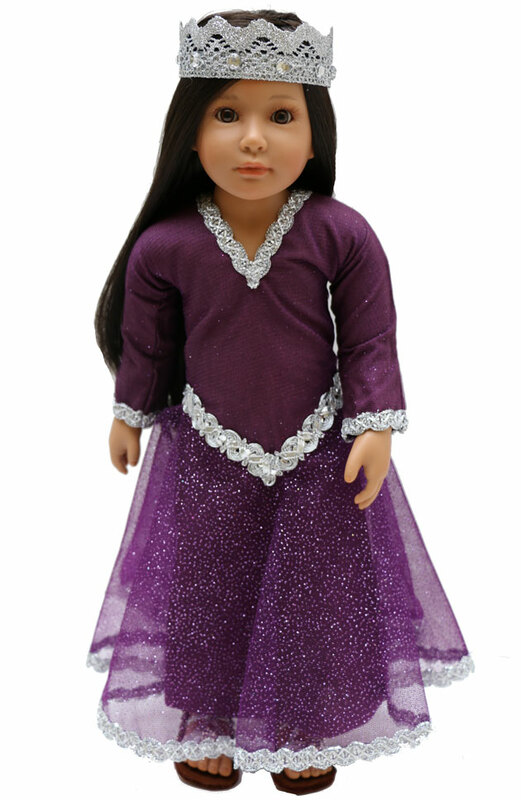 The Fun In Faith dolls were launched in August 2015. – A 21cm vinyl doll. 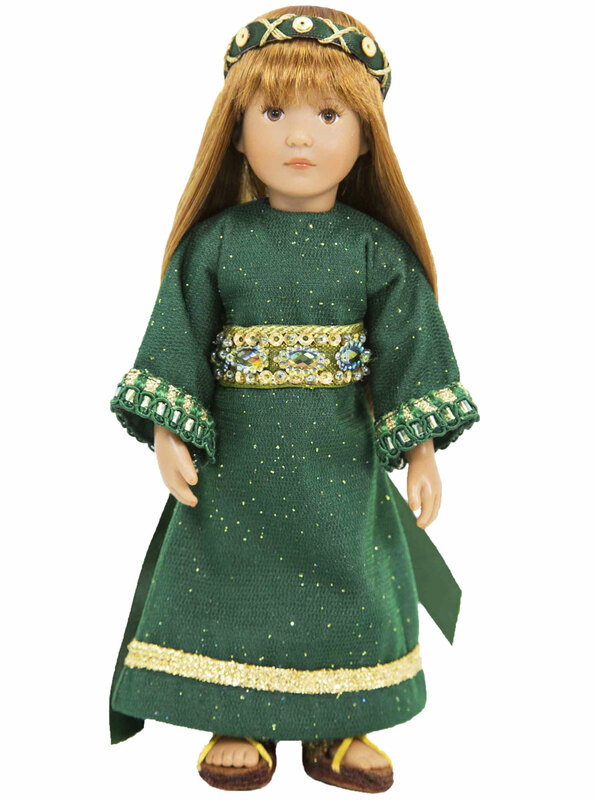 These exquisite dolls adhere to European quality and safety standards. – An outfit the beautiful doll wears, and one pair of shoes. – A small illustrated booklet that tells the story of the particular doll in a clear, yet informal way. The scripture reference for bible reading is given at the end of the booklet. – A handmade bracelet with a laser cut disc for the girl. The disc reflects one word, which describes the central message of the bible story. – A printed backdrop to set the scene for the recreation of the story. – A plastic storage case to keep all items safe. – For My Doll Best Friend customers, a second outfit has been included. Pretty additional outfit worn by Rahab. All the stories start with a problem that has to be resolved and during play, the characters can be dressed in their traditional or modest outfits. However, as Divine intervention produces the best possible outcome the mini dolls have a bridal or grand outfit as well. All these stories end on a positive note, to remind all readers that faith is never in vain. 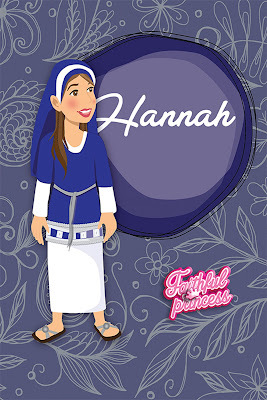 Rahab is the only exception in that she first wears a bright outfit and later her traditional outfit once she is accepted by the Israelites after the fall of Jericho. 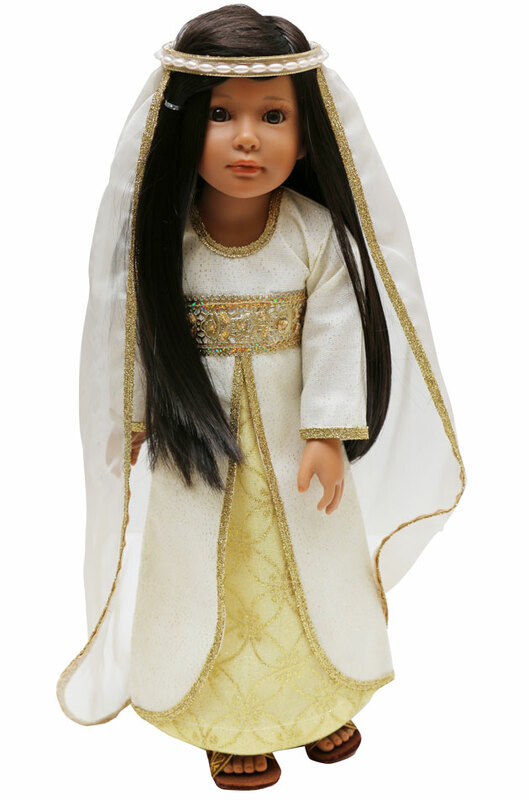 The jewel to the Fun In Faith collection is their big doll Esther (45cm in height). This doll was designed by Sonja Hartmann for her Kidz & Cats brand** in 2013 and here we see “Kiki” revived as “Esther”. By the time Fun In Faith approached Sonja Hartmann, this doll named “Kiki” had already sold out. 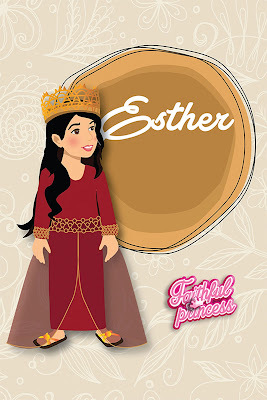 “Kiki was the perfect doll we were looking for as our Esther” commented Fun In Faith. 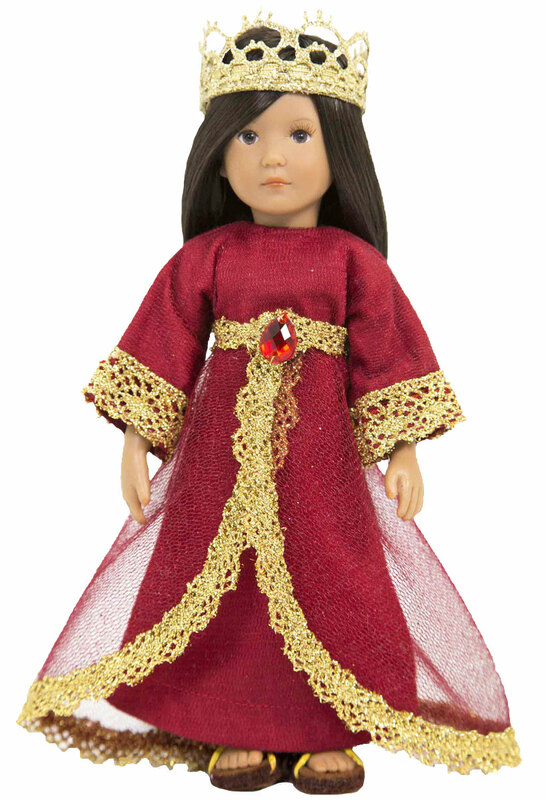 The Esther 45cm doll comes in three different outfits to choose from: Esther, also known as Hadassah; Princess Esther or Queen Esther. She also comes with her biblical story, and a heart shaped pendant with the words engraved as “Courage”, for the child to wear (Esther had the courage to save her people). Esther, Princess Esther & Queen Esther (45cm doll). 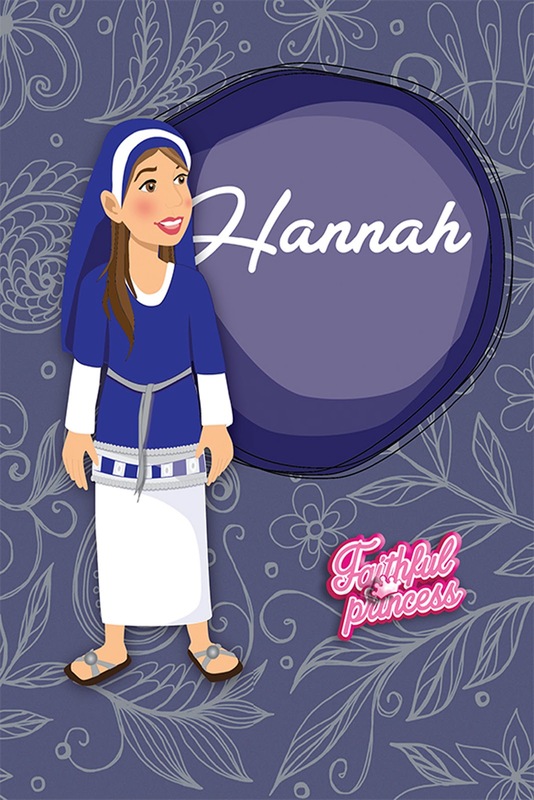 The booklets that accompany all dolls can be selected for Christian or Jewish readers. They have been written with the English Old Testament Bible, or Tanakh, as background. Their English Bible translations use different names for God and this usage was followed in the writing of the normal English booklets. However, the booklets for Jewish children speak of HaShem (The Name) when referring to God. Fun In Faith has used the Hebrew English translation of the Stone Edition Tanakh for Jewish readers. There are booklets to accompany all of the dolls, here’s an example of those that come with Esther and Hannah, and as you can see they’re fun! Handmade bracelet with laser cut disc. 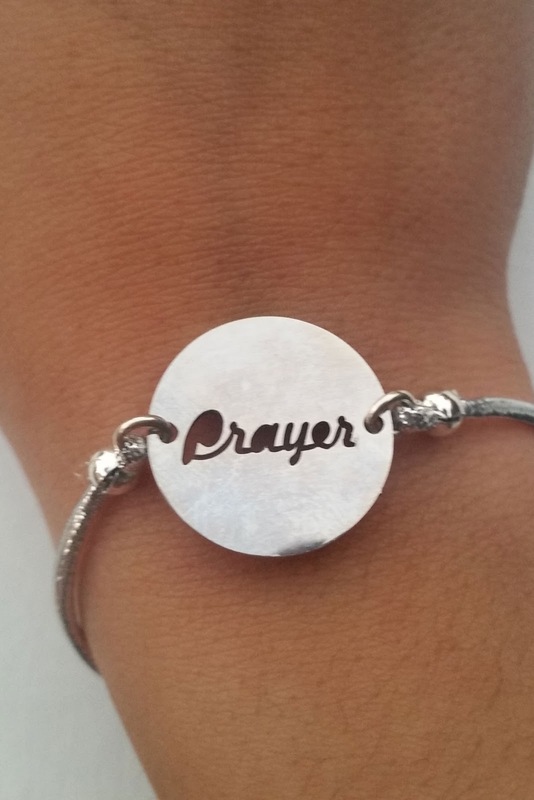 The brand firmly believes that Fun in Faith will make a difference in the lives of children. The founders have also seen that adults working on bringing the dolls to market (even those that they briefly interacted with, in their development phase) regained the excitement of children! The sparkly highly adorned clothing and shoes and the quality presentation of all material has really impressed me – down to the fabric ‘Limited Edition’ coloured labels on the 45cm Esther doll boxes and printed ribbon tied in bows around these boxes. There really is so much attention to detail. Apart from the dolls, all items included in the gift sets have been produced in South Africa. Indeed Fun In Faith is proudly South African. A seamstress making the clothing for the dolls. Photo of 90 pairs of small shoes made in 4 days by the talented South African team. Shoes worn by 45cm Esther dolls. There will be more toys to come from the brand, particularly for boys, and we look forward to offering you more dolls and figurines in the future. 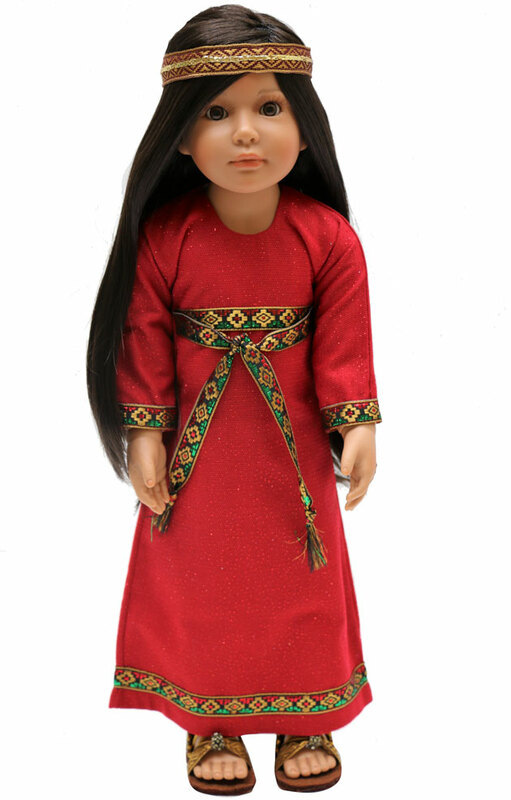 In common with Fun In Faith, we truly believe that these dolls enhance our range. Apart from the excellent quality of the dolls, as well as the unique handmade outfits and shoes, these characters retell stories that have fascinated old and young for generations. We would be delighted to read your comments and answer any questions! 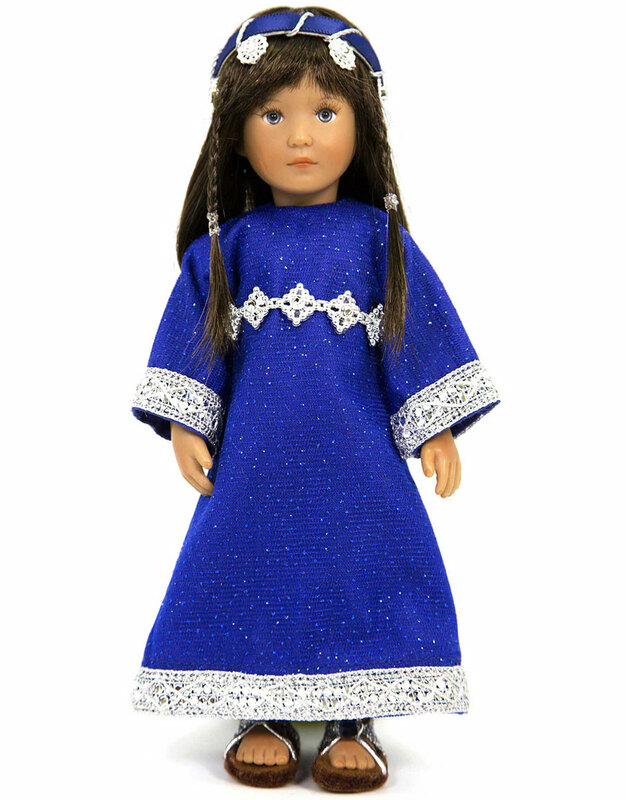 If you’d like to buy a Fun In Faith doll, you will find them in stock at My Doll Best Friend and ready for international shipment. * In Europe the naked dolls have taken and passed EU safety standards so are suitable for children age 3+ but the other items have not been tested. We’re therefore obliged to sell Fun In Faith goods as collectors’ items with a suitability age of 14+. Toy testing standards in South Africa may vary from European regulations. **Kidz ‘n’ Cats was acquired by Hape International AG in 2016. Many photos are copyright Fun In Faith Pty Ltd and we offer gratitude for the use in our publications. was around her wrist to match the story. I would like one of each. Everything from the idea, the beauty of the doll through to the presentation is fabulous with Fun In Faith. They seem to have thought about so much when putting together their Mini doll gift packs. So pleased to hear how delighted your are Jill. Thanks very much for your comment. Hi, that is great to know! Let me know if you would like any more info! Thanks for this, I also searched for them and this post is the only way I found it! Yes! This is the first series. There will be lots more to come, including boy action figurines. I'm so pleased you find them lovely 🙂 Thanks very much for commenting! Hope they consider making the women from New Testament too! Absolutely lovely! Those are lovely, and such an unusual idea. Thank you! We think they are little gems!